Exclusively secluded on its own peninsula, and surrounded by the azure hues of the Mediterranean, Cap Estel Hotel makes for the ultimate Cote d’Azur romantic hideaway. Here you’ll find just 28 rooms, many of which are generously sized suites, decked out in a traditional Mediterranean style with a modern touch: spacious, airy and elegant. At Cap Estel, you’ll be well away from the crowds and pampered in your own sleek and glamorous retreat. 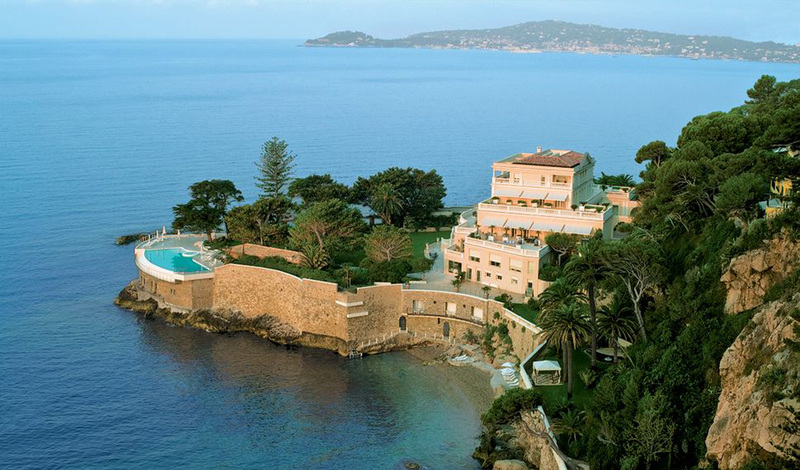 Cap Estel sits regally just outside the ancient fortified village of Eze in the South of France, between glamorous Nice and Monaco. Arrive by car from Nice airport in just 35 minutes or transfer in style by helicopter from Monaco’s heliport in 10 minutes. The hotel is in a two-hectare gated estate where there’s plenty to fill your time; lounge by the infinity pool, stroll through the fragrant terraced gardens and tuck into the freshest Mediterranean fare at the restaurant which boasts one Michelin star. When you’re fully refreshed head into the village of Eze where you can visit the magical 12th-century castle ruins, find pretty beaches and scenic picnic spots. Monaco waits only 10 minutes drive away to the west and Nice is 30 minutes to the east. You can easily spend a day exploring either, but both are best appreciated champagne in hand at a sea view bar as you watch the sunset. 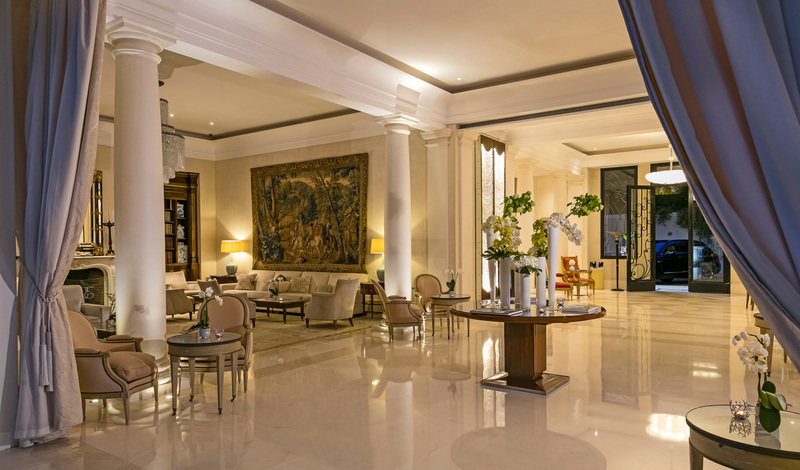 All wonderfully spacious, Cap Estel’s rooms and suites can only be described as luxurious and perfectly designed. Expect to find plush furnishings and subtle colour tones throughout. You can enjoy the glorious views across the Mediterranean from your bed and a few extra-special rooms overhang the sea, built sheer above the water you can look down to see the rocks below where divers come to observe the wildlife below. The Sothys Spa at Cap Estel is like no other. It offers completely customized body treatments to make sure you can totally relax after your journey and leave feeling fully revitalized. Enjoy a massage followed by some downtime in the steaming hot sauna. Sothys Spa can provide exactly what you need.